When you’ve decided on a new roof, the bulk of the work is done for you. The tear away of the old roof, the disposable of the old shingles, the ice sheeting, the venting, the nailing. Everything. But one question still trips up homeowners: What color shingle should I use? Years ago, you could choose between black and brown. But with today’s modern shingles, you can choose between Regal Red, Slate Blue, Medium Bronze, and nearly a dozen other colors. Dark colors draw attention to the facade of your home, while bold color combinations help to craft appropriate accents to your landscaping and property. Adding a drama and depth to your curb appeal helps your home stand out in modern subdivisions. But what do they look like on a typical home? Shasta White is a great color to use to draw attention to sharp contrasts in the yard. If you have a luxurious lawn you want to highlight, consider Shasta White as the color of your rooftop. By using subtle white and gray hues, Shasta White accentuates the white siding and the white windows helping them pop to people passing by. Future real estate agents will appreciate the thought you put into the rooftop color. Aged Cedar is an excellent choice for homes with red rock exteriors. It seems to blend into the home in a way that makes it look stable. Grounded. Using earth tone colors helps it draw attention to the entire structure. If your back yard includes a deck and room for gatherings, this roof may help guests focus on the accoutrements in the yard and the people around them. Metal roof colors can help even a humble cabin look and feel high-end. Rich hues of blue, red, green, or champagne help to create the look and feel of a weekend getaway location. And if you pick the right color, it can help friends and family find your cabin in the woods by helping it stand out from the rest of the local environment. Pacific Wave or Sedona Canyon? The choice really is up to you. Color combinations for your particular home can be virtually endless. So take some time checking out rooftops on your favorite homes on Pinterest or Google Search. 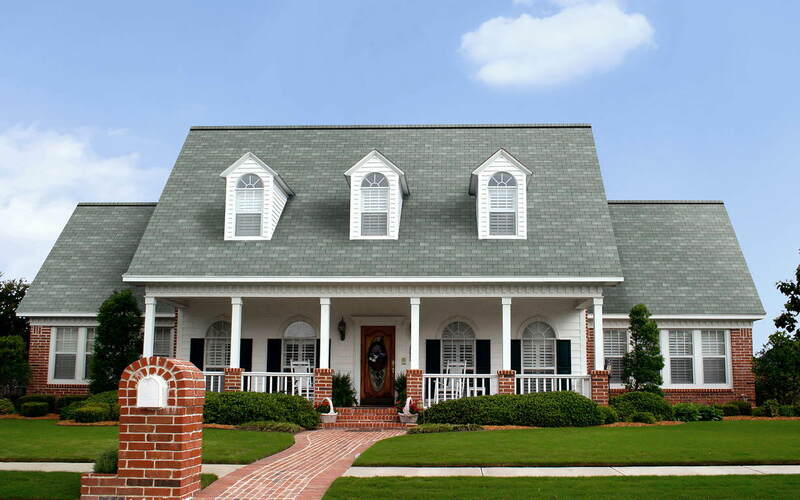 Learn more about metal roofs or asphalt shingles. Chances are, we can help you get the color and style you want for your new roof.